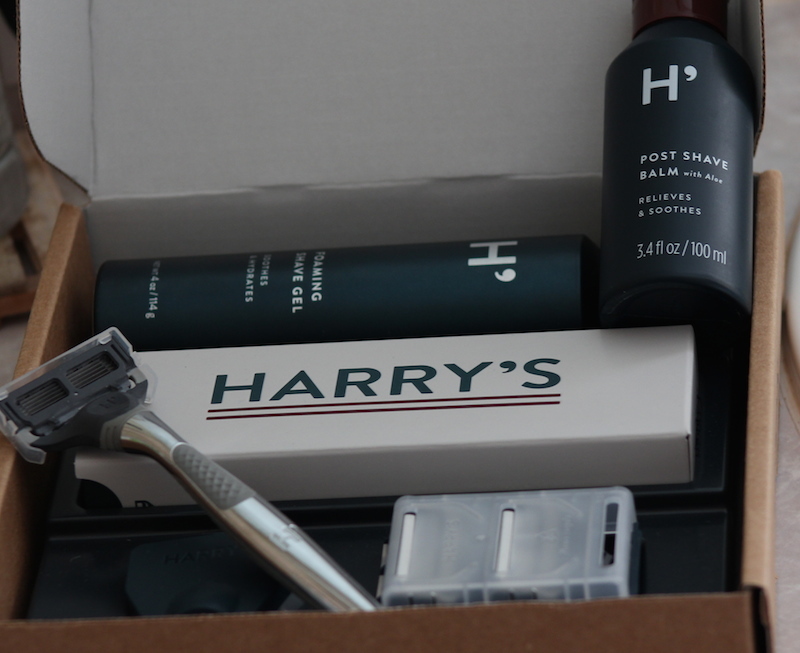 It seems like new companies are popping up every day that offer home-delivered razors and shaving kits. While I love the concept, inexpensive products shipped to your door usually end up being worth less than the cost of shipping. When Harry’s started getting some traction and showed up in my local Target, my curiosity reached critical mass. 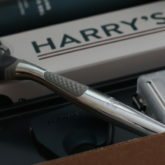 I reached out to Dani at Harry’s HQ with questions about their razors, lotions, and concept. She offered to send me a kit and prove they know what they’re doing and solidify their position as one of high quality without high cost. “We’ll just see about that, Dani,” I said with just the right amount of snark. When the package showed up, I was excited and thought I’d have a little fun with it. I had just come from the gym and needed to clean myself up for meetings that afternoon. Blake was in need of a fresh head-shave and some beard TLC. I made a quick video to showcase the highlights of the experience. All joking aside, there are definitely some great reasons to invest in a subscription to Harry’s each month. And, as a matter of transparency, it’s not an ideal product for everyone, but we’ll get into those details in a minute. First thing I have to comment on is the marketing. 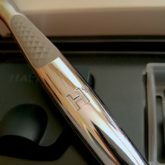 The package shows up in a well branded box and carries with it the notion that this is much fancier than just your average drug store razor. Included in my package was a note from Dani and the Harry’s team as well, which was a nice touch. Marketers, take note. This is good stuff. 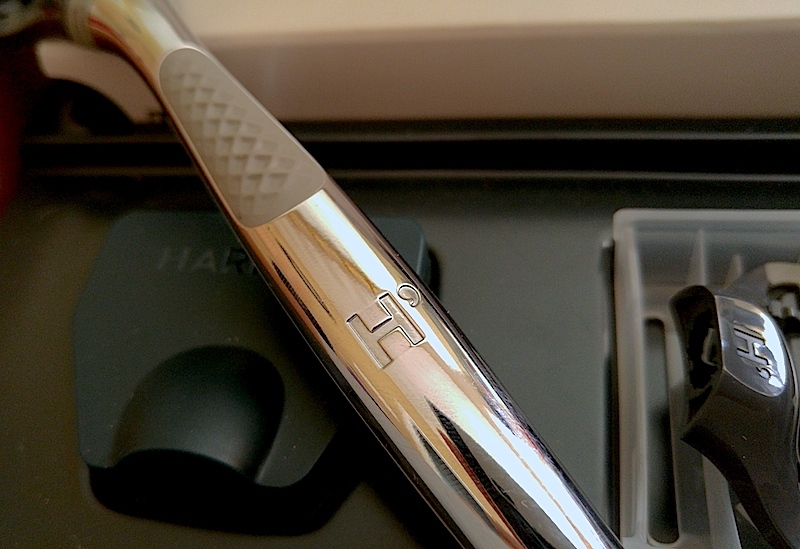 I felt it appropriate in my review of Harry’s shaving razors because presentation is everything after all, right? I received the basic kit: razor with handle, two additional blades, a blade cover for traveling, a bottle of shaving gel, and a sample size of the post-shave balm. 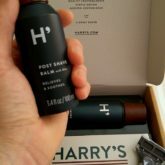 I also personally requested a full bottle of the post-shave balm because that’s what I most enjoy as a bald guy. 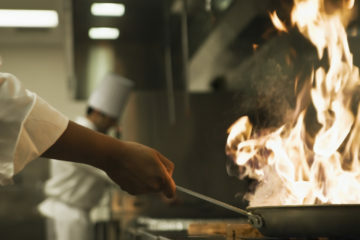 Smells good, and a little goes a LONG way. Seriously, I can shave my entire head and neck with a quarter-sized amount of gel. It moisturizes pretty well and left my skin crisp and cool after one pass of the razor. Check it out! Holy smokes, this bad-boy smells delicious. As a bald guy, I’m a connoisseur of aftershave creams, gels, balms, and tonics. Whatever I can get my hands on to make sure my scalp is moisturized, calm, and ready for the day after a shave, I devour. 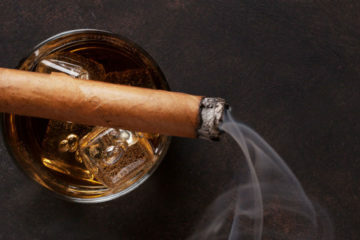 Most of the post-shave treatments are either too heavily scented or they’re filled with a lot of alcohol to close your pores. I don’t mind a mild scent, but I don’t want to smell like a deodorant stick on my head. I can PROUDLY say this post-shave balm is my absolute favorite. 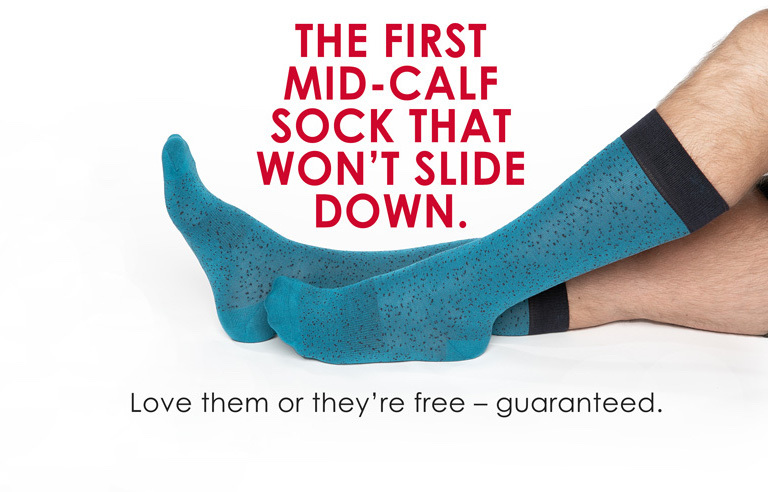 It’s moisturizing and soothing, but more importantly, it FEELS and smells clean for hours. After my first shave, I walked around my house enjoying the crispness of my scalp and how unbelievably clean it smelled. It’s not a powerful smell, but it’s definitely one that makes you feel clean. I look forward to using IT more than I look forward to actually shaving now! Check this out! Not everything I check out is a good fit or without faults. Harry’s is no exception. After all, an objective review should be objective, right? 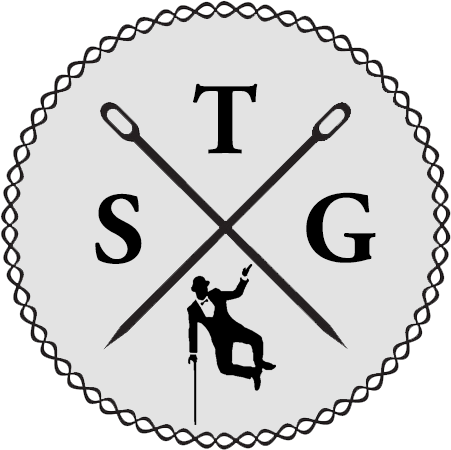 The blades are actually very sharp and placed accurately which means you get a great shave in fewer passes over the skin. Where you notice the cost-savings coming through in the product is in the plastic construction of the razor head itself. The lubricating strip does a fine job, but the space between the edge of the head and the top blade is too great to get accurate trim lines. 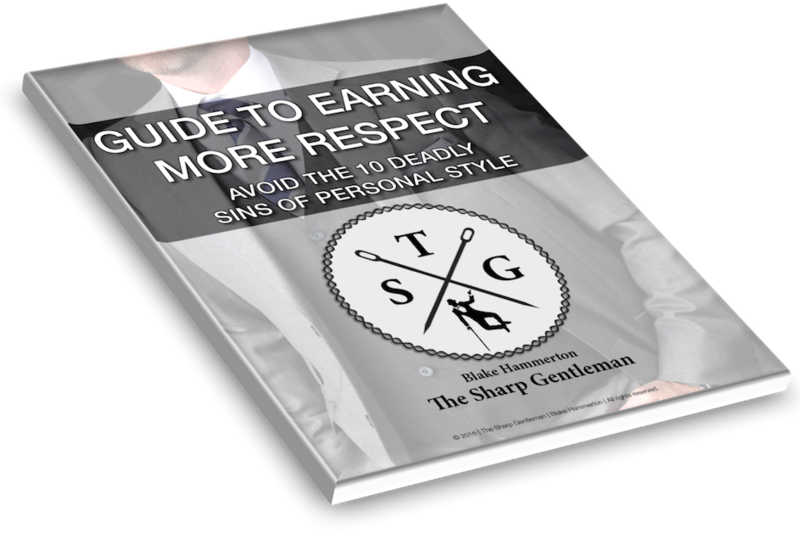 Now, if you’re a clean-shaven gent, this isn’t really a big deal. You roughly hit the hair line at your ears and proceed to clear away everything below it. If you’re sporting a beard you like to keep trim and sharp, this razor makes it hard to keep straight lines with precision. While it coats very well and does a fine job of prepping the skin, it doesn’t seem to have enough in its chemistry to stay on/in the skin after a couple of passes of the razor. I had to re-apply the gel a second time to get the last few bits smooth on my head and neck. It’s not really a big deal, but it’s something I noticed, and I don’t have to reapply when I use a cream like this one, or my current favorite, this one. Dani did mention they don’t advertise being the best for shaving your head, so I can’t technically call foul. 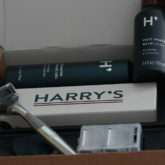 After shaving with the razors, lotions, and gels for a month, I can confidently say I would definitely recommend Harry’s to the average guy. 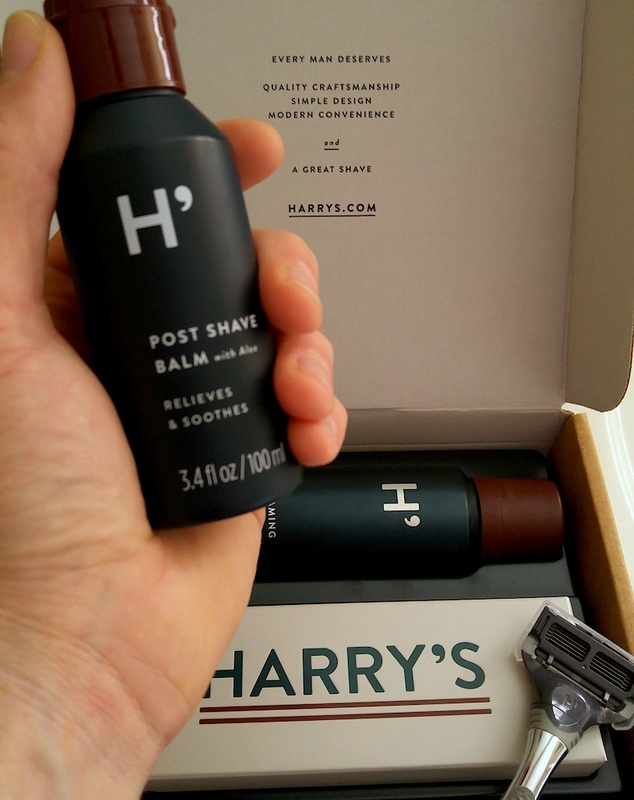 Look, you can go to the drugstore and spend $4 per razor cartridge (I can’t believe people actually do this), or you can go with Harry’s and get excellent blades, shave gels, and the delicious post-shave balm for less than half of that. It’s a no-brainer! Harry’s pays attention to the details so you don’t have to. You get them shipped to your door when you need them so you don’t have to go to the store again. 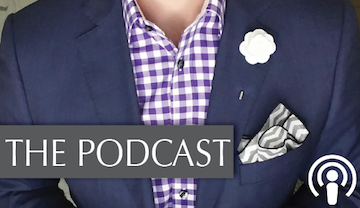 You get great customer service, and you join the exclusive family of Harry’s gents when you subscribe. 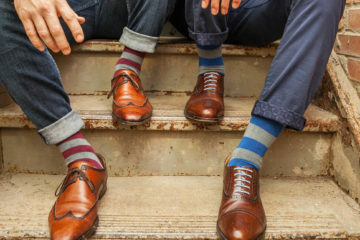 So don’t be a hairy gent, be a Harry’s Gent. 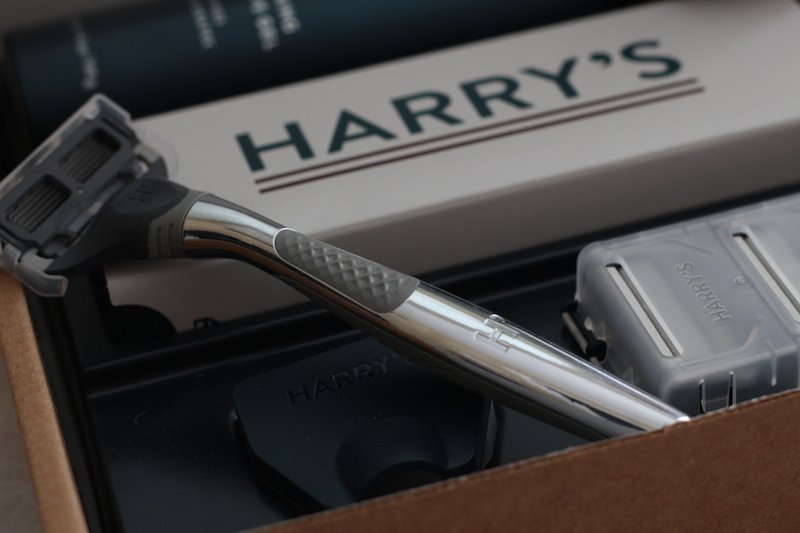 Have you tried Harry’s razors or shaving products? What’s your take on them?